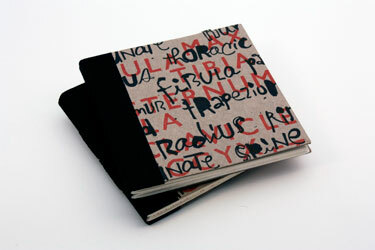 Written and illustrated by Ward Schumaker Type designed by Lili Ong and Michael Bartalos. 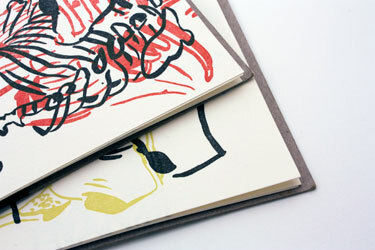 This hand bound book is letterpress printed in three colors on Somerset paper, set in Gill Sans, and printed on a Vandercook 4. 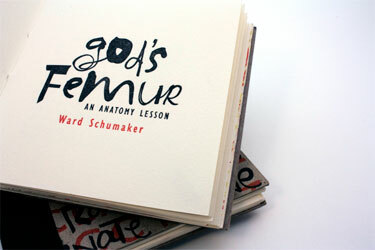 Ward Schumaker's work has appeared in over 150 periodicals, including the Los Angeles Times, New York Times, San Francisco Chronicle, New Yorker, Esquire Japan, and Le Figaro. He has illustrated two limited edition letterpress books for the famed Yolla Bolly Press: Two Kitchens in Provence by MFK Fisher, and Paris France by Gertrude Stein. His work on the Stein book won a silver medal from the Society of Illustrators. 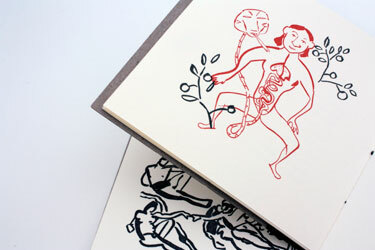 He has received awards from the AIGA, CA Illustration/Design Annuals, Print Magazine, Graphis and American Illustration. His work has been the subject of articles in Communication Arts, Print, Step-by-Step, Design Journal (Korea), and Portfolio (Japan). With the Smithsonian Institution, Cooper Hewitt, National Design Museum in New York, he received a Federal Design Achievement Award. The artist lives and works in San Francisco with his wife, artist Vivienne Flesher.